Dawn Publications (CA), 9781584695349, 32pp. Honey is a sweet gift from nature - ALL of nature, actually. 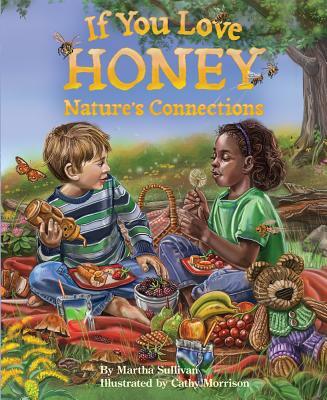 Honey is linked in a very real way to dandelions, earthworms, mushrooms, the old oak tree and even the blue jays squawking in its branches. Take another look at honey. If you love nature's honey, you are sure to love nature too. How sweet it is The author fell in love with bees as an amateur beekeeper, and then learned to appreciate flowering plants even ones she once considered weeds as an important nectar source. And then she realized how the plants were connected to insects and soil. A simple but accurate diagram in the back matter explains how bees make honey and also pollinate plants, as well as the role of beneficial insects and decomposers. Also presented are activities and a recipe for children.